Easter is nearly here and to be left empty handed, we went to hunt for chocolate eggs yesterday. We started at noon from Hyde Park Corner and you can follow the map below and see where we visited. 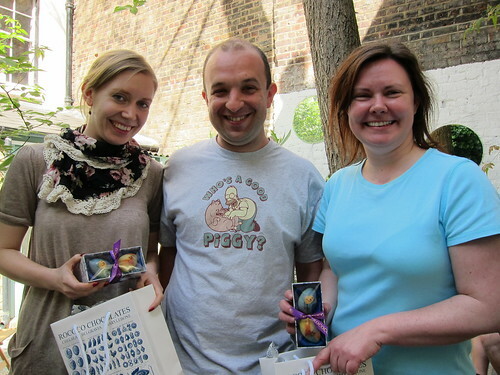 The first stop was in Rococo where we had a chocolate quiz and 2 lucky winners won the beautiful hand painted chocolate eggs of Rococo. 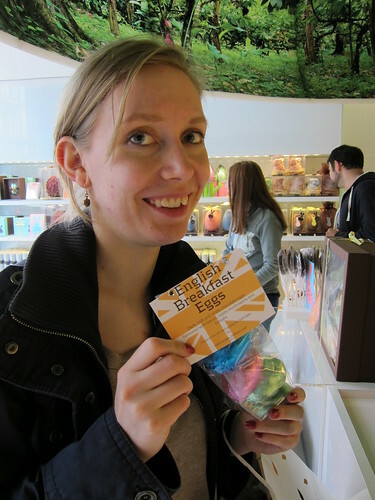 In the last shop we visited Artisan du Chocolat we found a special English breakfast eggs that contain bacon and tomato.